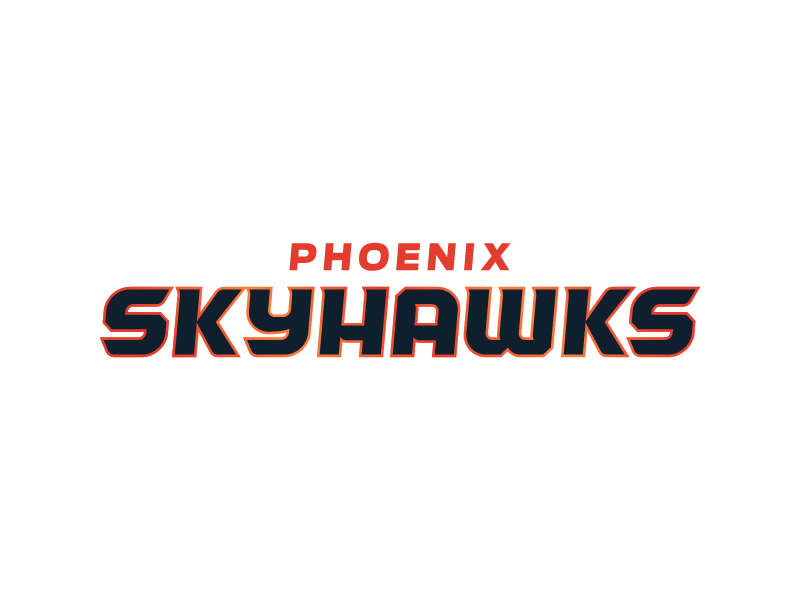 Phoenix Skyhawks — CJ Zilligen Design Studio, Inc. The Phoenix Skyhawks are a fictional football team that is part of the Ultimate Football League. The Skyhawks play in the Southwest Division of the Great West Conference. The young Phoenix-based franchise, named the “Skyhawks”, is named after the native red-tailed hawk, a member of the American Buteos (large soaring hawks) family. These aggressive hawks are known for flying at high altitudes and swooping down to attack their prey, using their keen eyesight to hunt down their target. Red-tailed hawks are vigorously territorial while being adaptable to varying environments, a characteristic fitting for a competitive football team. The Skyhawks are dressed in the colors of an Arizona sunrise – a vibrant vermillion orange paired with amber gold, with a deep navy as a base color. Their helmets are a vermillion chrome and their uniform features a sublimated feather pattern that is derived from the team logo.